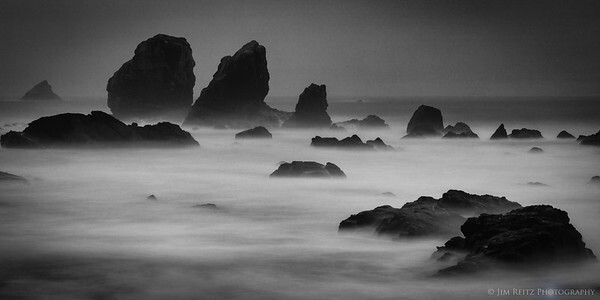 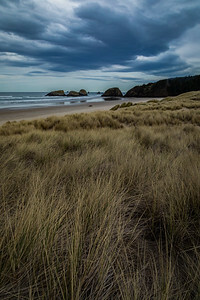 A dark & moody day at Cannon Beach. 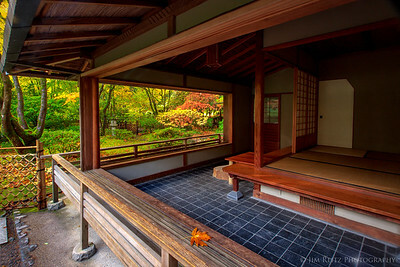 Looking *out* of the garden, rather than in. 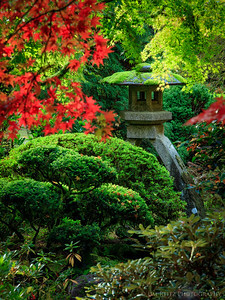 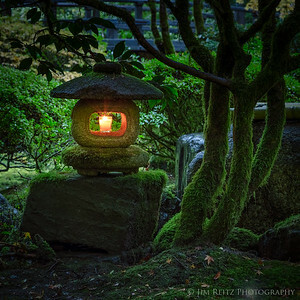 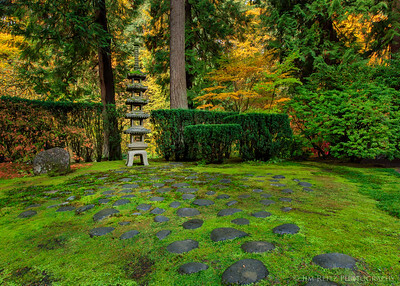 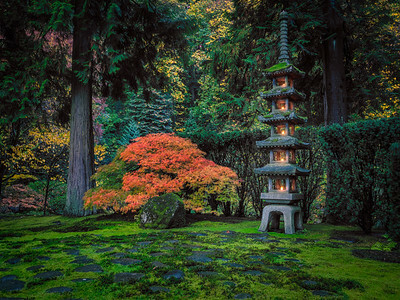 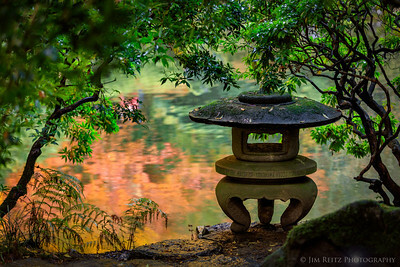 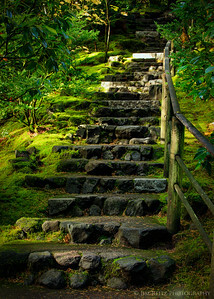 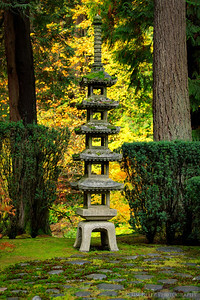 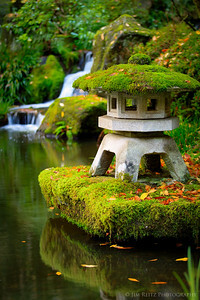 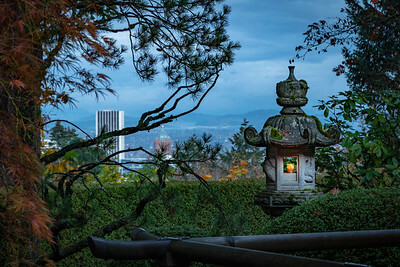 Pagoda Lantern - Portland Japanese Garden. 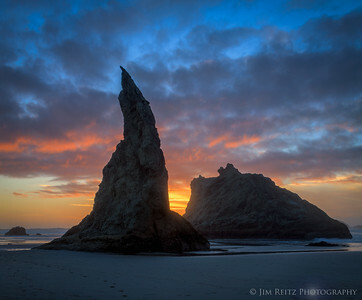 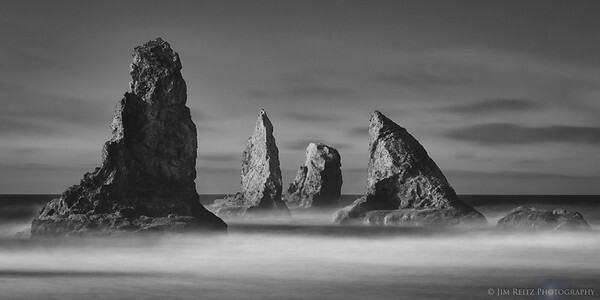 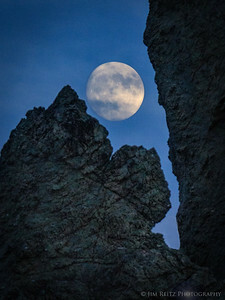 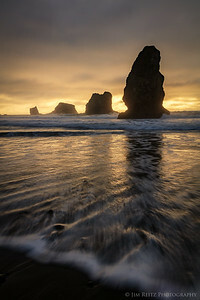 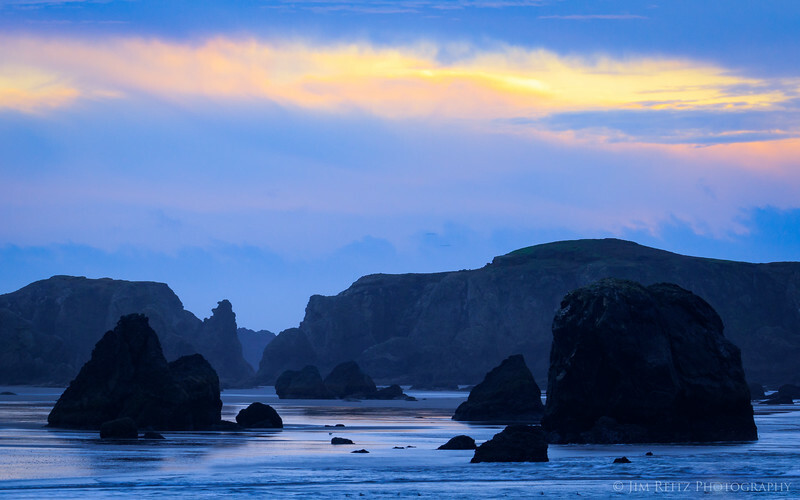 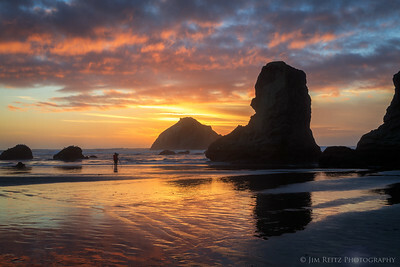 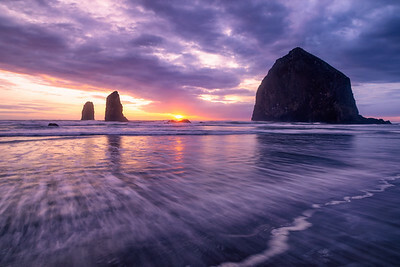 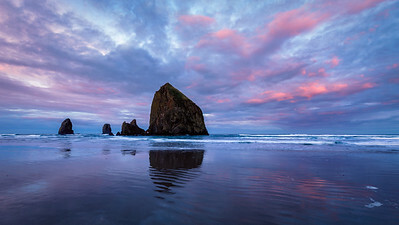 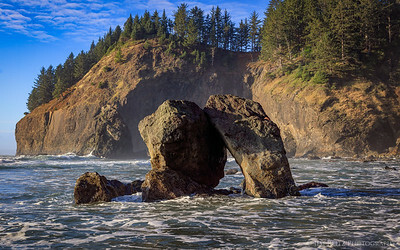 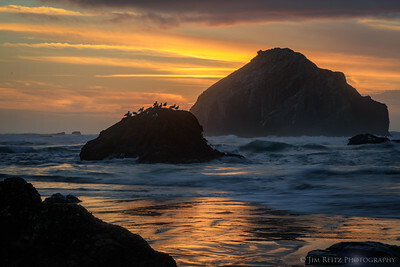 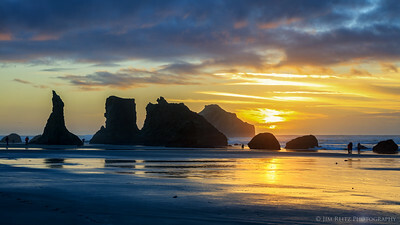 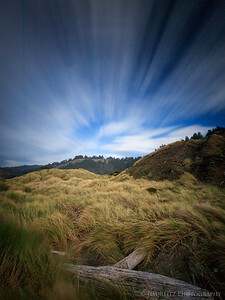 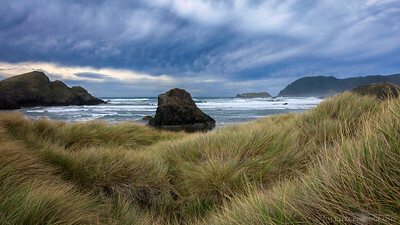 The iconic "Wizard's Hat" sea stack on the beach in Bandon, Oregon. 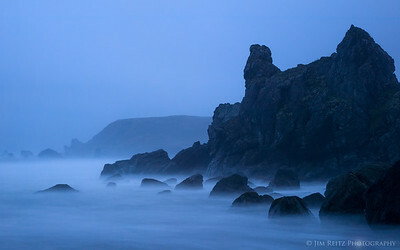 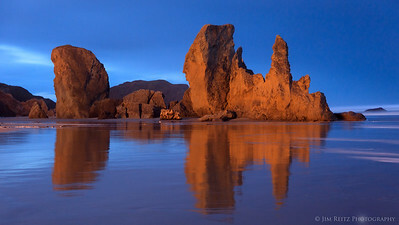 Pre-dawn reflections on Bandon Beach, Oregon. 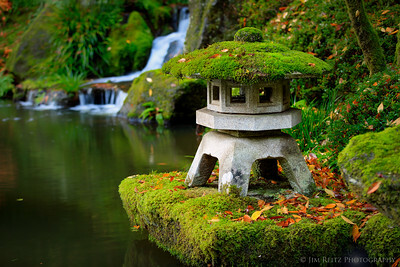 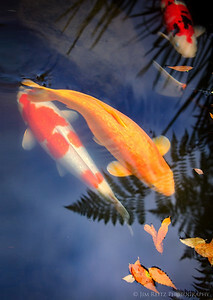 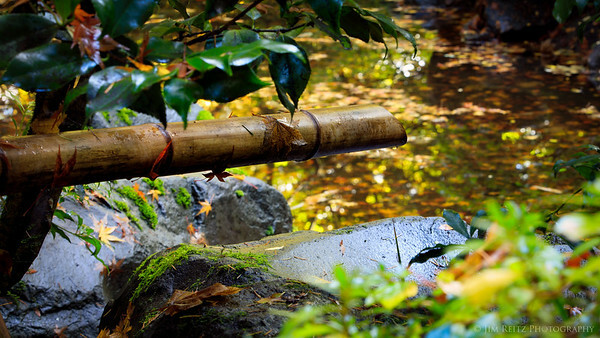 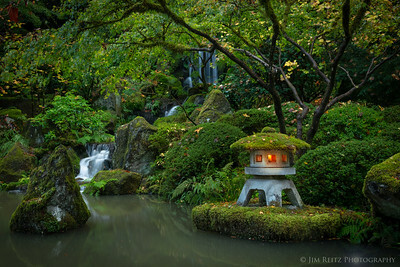 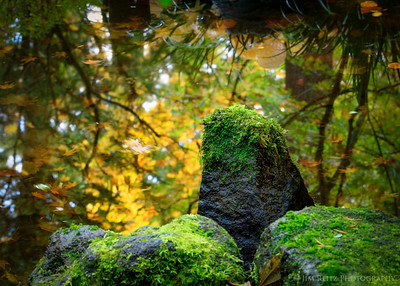 Stone lantern, reflection, and waterfall at the Portland Japanese Garden. 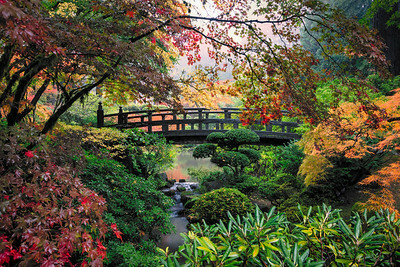 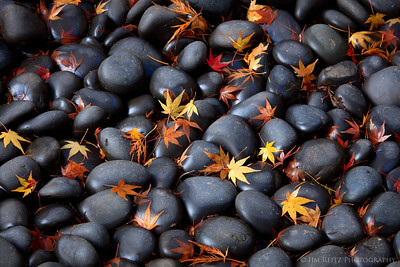 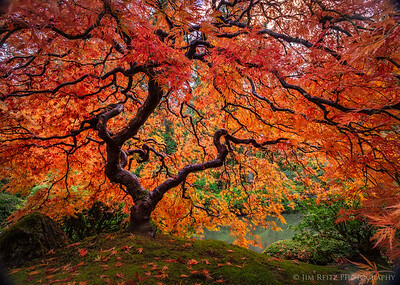 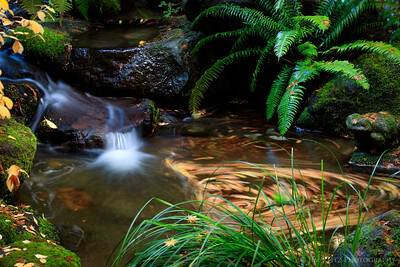 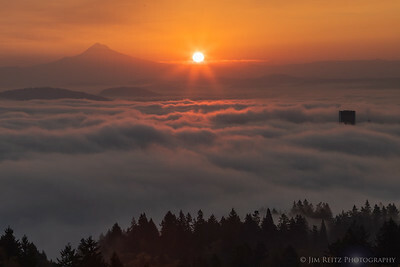 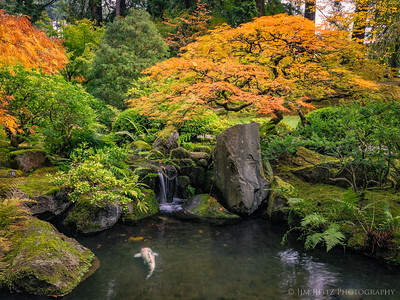 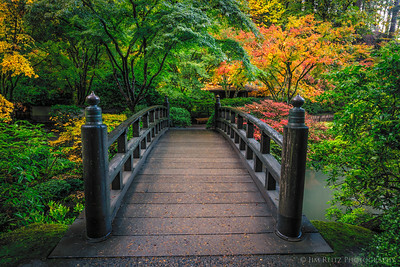 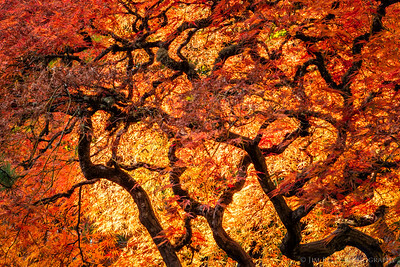 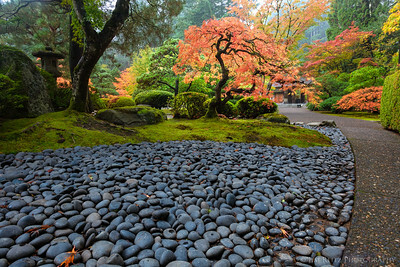 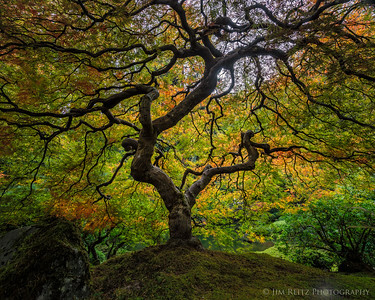 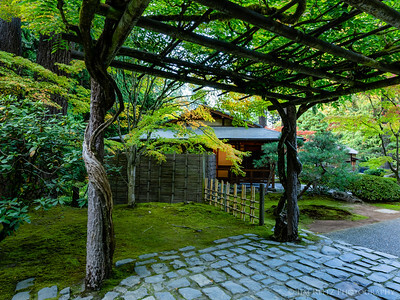 Whirlpool of leaves, Portland Japanese Garden.